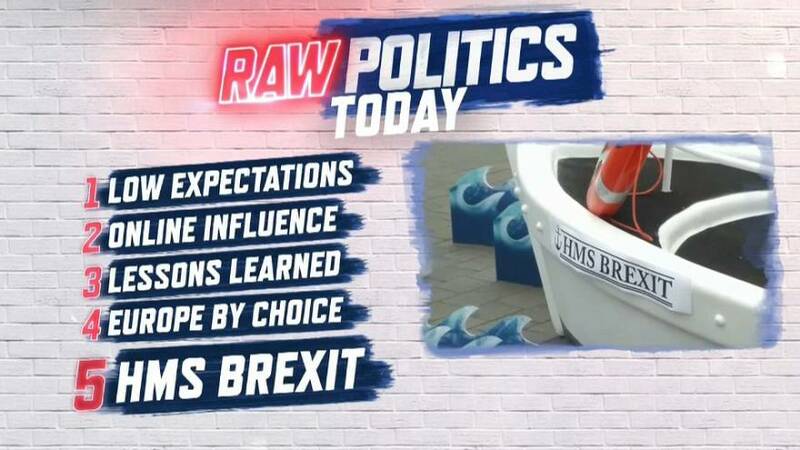 Ahead of the UK parliament's vote on Theresa May's Brexit deal, Tesa Arcilla and the Raw Politics team break down what the vote means both for Brexit, Theresa May and the future of Europe. Tesa is joined in the studio by a diverse list of guests: British Conservative MEP John Procter, Dutch Liberal MEP Marietje Schaake, Swedish Moderate Party MEP Anna Maria Corazza Bildt, Italian Five-Star MEP Ignazio Corrao, British Ulster Unionist MEP James Nicholson and MEP for the German CDU party David McAllister. From outside Westminster in London, Darren McCaffrey describes the atmosphere ahead of what could be an historic night in British politics.